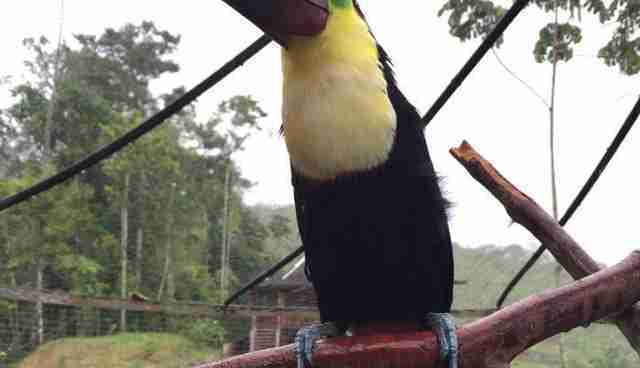 Animals of all kinds are brought to John Merritt's doorstep in Costa Rica - and then he has to figure out how to save them. 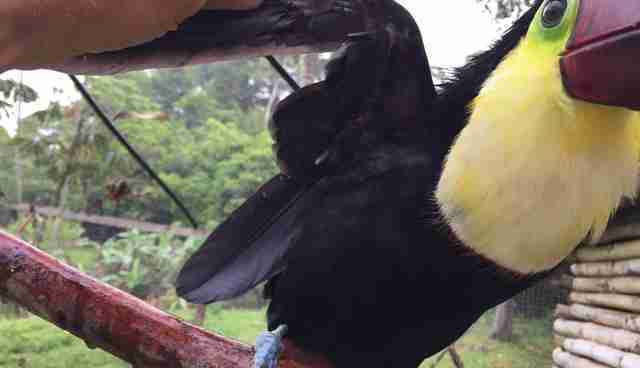 One such animal is Toto, the abused toucan who had his wing feathers cut off. 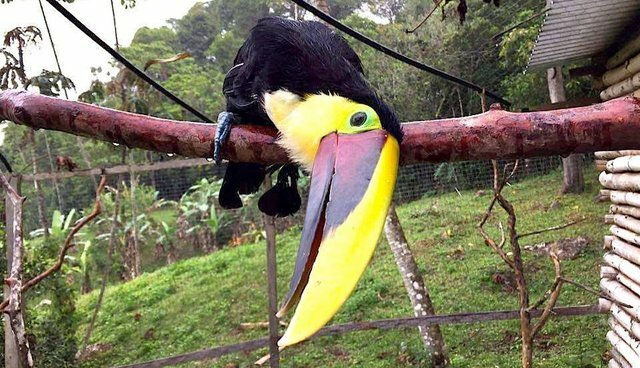 "When the government brings us animals, they're confiscated a lot of times from locals, who never tell the MINAE [Costa Rica's Ministry of Environment] their history," Merritt, founder and CEO of iRescue, a nonprofit that helps wild animals in need, told The Dodo. 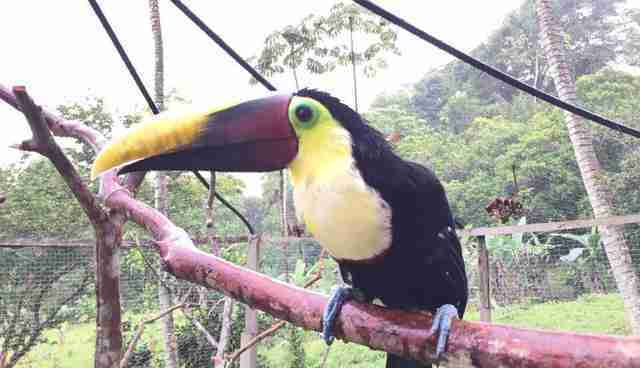 In 2013, Costa Rica officially banned the capture and confinement of wildlife. But the illegal wildlife trade still has a grip on the country, and so wild animals are still captured and kept as pets. 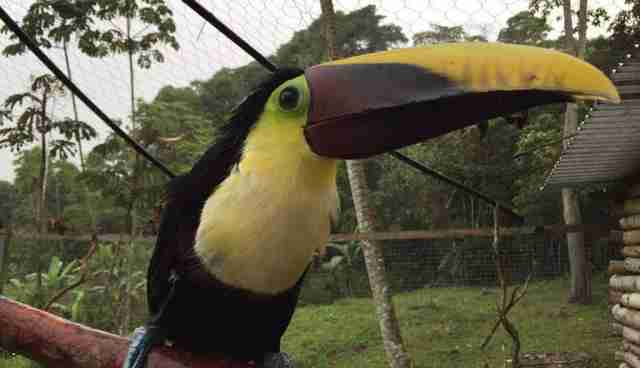 "We have no idea how the guy acquired this toucan," Merritt said. "But he had severely clipped his wings, so basically he just falls off the branch and heads straight to the ground." Toto was also severely malnourished when he came to iRescue. 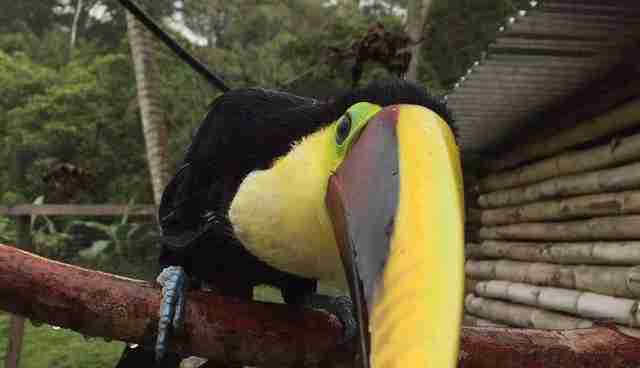 According to Merritt, toucans, who are omnivores, need a varied diet so they can thrive. "Whoever had him probably just gave him banana all day," Merritt said. But Toto, who was rescued earlier this year, has already made big strides. As he gets stronger, Merritt moves him into progressively larger enclosures to keep him challenged. Someday, Merritt hopes Toto will be strong enough to be released into the wild again. But it will be at least a year before Toto's wings grow back. "He does have some of his feathers growing back in his wings and he's jumping from limb to limb," Merritt said. "We're pretty hopeful we'll be able to release him." To learn how you can help Toto and the other animals iRescue rehabilitates, click here.